I'm a newb to this program, not to the scene though. I didnt see any option to move graphics (other than 3d stuff) around. I just wanna make a simply C64 like intro. Basically a logo like on a rubber band moving left-right (and out of screen). So. is there a way to move 2d graphics around, and give them a movement pattern? Or do i need to learn coding for that? or a script language? Do Mai 05, 2016 3:24 pm von inc.
At the moment, IntroManic have no Effects related to a Logo. 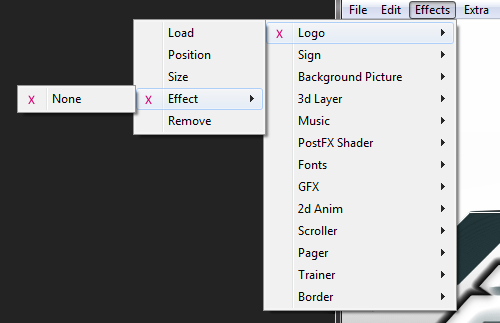 load it into IntroManiac and add your original 2d logo gfx as a Map on your loaded 3d object. now you're able to move the logo in any ways. With a simple trick you can use Rasterbars, if you load an HLSL Rasterbar shader FX into the background. 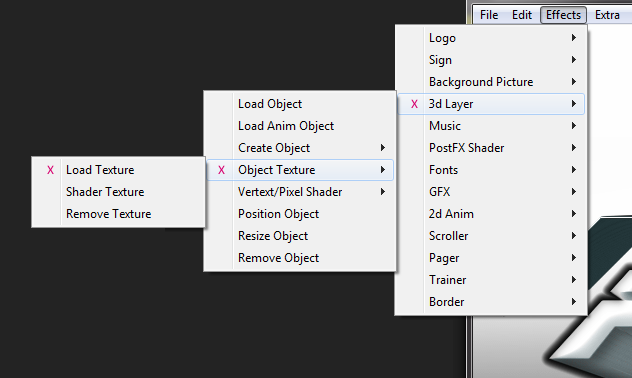 here is a simple GLSL Shader use in the Background. it can be easy replaced through Rasterbars or what ever.